In this publication we have provided an analysis of the critical differences manifesting between the new Companies Ordinance 2016 and the now repealed Companies Ordinance 1984. It is highly recommended on our behalf that even as you consider applying the specific sections in a given case that reference is made to the relevant statute’s specific wordings. After the Parliament has approved the Ordinance there will be an update of this publication providing comments on the made changes. In the proposed revision, companies will have the power to issue shares at a discount to about 50 percent of their shares’ nominal value. Josh and Mak International is in support of this authority that gives companies the ability to float extra shares to be to able to finance future business possibilities and operations. At the same time Josh and Mak International do recommend that there should be some limitation of this power so that companies do not abuse it. In fact, Josh and Mak International has held that shares issuance lacking preemptive rights need to be limited to a high of 20 percent of the share capital issued with the discount being 15 percent and no more off the market price. As such, it is the recommendation of Josh and Mak International that the rate of the discount limit appearing in the revised section reduced substantially to less than the 50 percent proposed of the nominal value of the shares of a company. It is the belief of Josh and Mak International that deposits acceptance could be beneficial for companies in raising funds without having to issue debt or shares. Nonetheless, the revised section might be proposing the allowance of non-banking firms to accept their shareholders deposit, including persons from the public but there’s no limit of a monetary or as a net assets or percent or otherwise, regarding the deposits amount that companies could accept. In addition, the revised section seems to only require companies that want to accept deposits to seek a credit rating. Though, the revised section including other areas of the Act has not indicated that companies should procure any kind of deposit insurance. While it is important to have shareholders protected, including companies and depositors from events that are unforeseen, it is the recommendation of Josh and Mak International that the section be revised further to require that before deposits are accepted, every company undertakes deposit insurance or offer guarantees for the amounts deposited. It is also the belief of Josh and Mak International that discretion should be extended to companies subject to specific limits, to enter into buyback programs of shares with a strong and sufficient balance sheet as per its capital needs. Nonetheless, as far as the Company remains omitted Josh and Mak International remains concerned within the revision proposed companies have no limits in the repurchasing of shares. As a result, it is the recommendation of Josh and Mak International that companies need to be subjected to reasonable repurchase limit like 10 percent of the share capital of the company within the revision proposed. For the inclusion of the provisions that allow shareholders of the company to participate at meetings of shareholders via proxy, e-ballot or postal ballot or video link Josh and Mak International applauds the Act. It is also the belief of Josh and Mak International that the section revised will end up in an increased participation of shareholders in general meetings. The revised section allows shareholders to submit a resolution proposal to be considered in the general meeting as far as the shareholders have a 15 percent minimum share capital issued by the company. Nonetheless, Josh and Mak International have noted that the threshold proposed represents an increase from the current 10 percent threshold that the Ordinance (Companies Ordinance of 1984) holds. As a result of the relatively share ownership concentrated structures in Pakistan, it is the stand of Josh and Mak International that shareholding requirement increase could lead to shareholders who are in the minority being unable to meet the required 15 percent. At the same time, in light of the present threshold that is already a little on the higher side by global standards, it is the assertion of Josh and Mak International that the proposed consideration should not be increased towards preserving minority shareholders access to submit resolutions to a general meeting for consideration. It is the belief by Josh and Mak International that the shareholders need to be free in their participation ability in casting votes and general meetings participation impartially. Nonetheless, the revised section has eliminated the provision of the existing quorum of “at least five members having the rights to vote on the resolution and present in person or by proxy” seen as a sufficient quorum for demanding a poll. The Act proposes a vote via polling requirement meeting 10 percent threshold but Josh and Mak International holds that with such limitations shareholders ability to requisite polls may be barred. In addition, the revision proposed is mute on whether those members who would like to demand a poll should be present physically at the location of the meeting and whether participation of shareholders by video link or any other means can request vote via poll. Towards the support of all shareholders rights it is the recommendation of Josh and Mak International that the provision that relates to members presence in requesting a poll be left to stand, while the voting should be executed via poll for equitability than voting via show of hands. This revised section including the Act remains mute on matters relating to corporate governance practices and structures and Josh and Mak International holds that it is highly so in the area of board committee composition and requirements as well as board structure. Rather, the Act has deferred to the Code (Code of Corporate Governance) as PSEC specified. While the Code formulation is the PSEC’s right, Josh and Mak International pays attention to the two different corporate governance rules set in Pakistan handling companies that are publicly listed. In the Code, one set applies to companies that are non-government controlled while the other set of Corporate Governance (Public Sector Companies Rules) 2013 (in this case “Rules”) strictly applies to those companies controlled by the government. The Rules and the Code seem to differ with one another on a number of important areas that relate to thresholds of board independence and independence of board chairman, public-traded companies committee requirements as well as the total of boards a single director could serve. As such, considering the unique opportunity presented of formulating the Act, it is Josh and Mak International strong recommendation that the revision of the Act be done to harmonize and address the corporate practices and structures for the entirety of public companies whether there is a controlling shareholder or not. It is the belief of Josh and Mak International that directors are obligated to attend board meetings as well as reporting possible conflicts of interests arising or that may come up in their tenure and delivery of service. 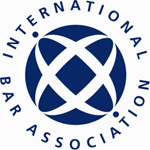 This is why Josh and Mak International has supported part (b) of the section revised on the removal of a director from the board where they remain absent without leave for one year (12 months) from the board. Josh and Mak International are similarly in support of part (d) of the section revised requiring an increased director interests disclosure in arrangements or contacts in avoidance of conflicts of interest. It is the belief of Josh and Mak International that directors are obligated to appear in board meetings and that physical appearance in meetings is more effective. As per the section revised, director is permitted attendance in meetings via videoconference and via other audio-visual media to board meeting requirements of quorum. Josh and Mak International does support electronic methods in board meeting attendance but recommends the attendance in board meetings by directors be limited to a very little number of meetings of the directors in a single year to guarantee proper board functioning. As per the revised section, companies with a PKR 3 million paid up capital or more shall be required to retain or appoint a competent legal adviser. 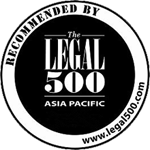 While Josh and Mak International do recognize the significance of companies’ access to legal advice, Josh and Mak International recommendation is that the said legal advisers remain independent from the company board including the application of prohibition of directors either to serve or act on a legal firm’s behalf in the revised section. Prohibition of such a nature would help to avoid possible conflicts of interest that might appear between the boards and directors. Josh and Mak International looks at the revised section favorably for its depth of requirements in relation to party disclosure. Nonetheless, it is the recommendation of Josh and Mak International that the section be amended further for the incorporation of disclosure requirements that relate to (a) the length of time anticipated for transactions, (b) transactions expected value, (c) explanation on the way the transaction will be benefiting the Company and (d) the schedule of payment between parties involved. Via the disclosure requirements improved, it is the expectation of Josh and Mak International that the shareholders decision making would be informed on the nature of the transactions and whether they are to the Company’s best interest. The SECP (Securities and Exchange Commission of Pakistan) had announced in March of 2013 that the process of reviewing the Pakistan law framework had started. The progress had stuttered but restarted early in 2016 and has resulted in the drafting of the Companies Bill 2015 publication with the aim being the amendment and consolidation of the core company law structure of Pakistan. One of the critical developments of the proposed Act is Clause 209 that lays out the directors duties with the provisions of subsection 2 being that the director of the company has to act in good faith towards the promotion of the company’s objects to the advantage of the entirety of all members, including being in the company’s best interest, shareholders, community and employees as well as protecting the environment. Are small companies directors also required to abide by Section 153(h)’s provisions of the 2016 Companies Ordinance? A general exemption has been granted by the Commission to all companies of a small size including companies promoting agriculture for around two years from adhering to Section 153 (h) requirements, according to the 2016 Circular of 18 November 2016. Will a foreign director lacking NTN be eligible for directorial appointment in a company according to Section 153 (h) of the 2016 Companies Ordinance? Section 153 (h) requirements will not apply on a Foreign Director and a non-tax payer in Pakistan, but where the foreign director is a Pakistan tax payer, according to the 2001 Income Tax Ordinance, where the director would have NTN after registering with FBR, then the Companies Ordinance of 2016’s Section 153 (h) provisions would apply. After the November 11, 2016 promulgation of the 2016 Companies Ordinance are Companies needed to prepare their financial statements as per the Companies Ordinance 1984 that has been repealed or the new Companies Ordinance 2016? As seen in Circular 36 of November 22, 2016, the Commission has issued a clarification that those Companies with their financial year closing before 31st December 2016 need to have their financial statements prepared according to the repealed provisions of the Companies Ordinance 1984, whilst those companies whose financial year will be after 31st December 2016 or on that date should have their financial statements prepared as per the Companies Ordinance of 2016. Is the dividend remittance into a listed company’s shareholders bank according to Companies Ordinance, 2016’s Section 242 applicable to companies whose financial year ended June 30th 2016? Listed companies have been exempted for compliance with Section 242 until March 31, 2017 according to Circular 38 of December 2, 2016 to meet all required arrangements. Until March 31, 2017 all companies listed are required to resume the current dividend payment practice. From April 1, 2017, companies listed will be needed to part with dividend electronically only. Are the 2004 Circular No. 19 requirements still applicable to Companies Listed, which refer to quarterly accounts placement appearing on its website? In the 2016 Companies Ordinance in Section 237(2) listed companies are required to have their quarterly accounts placed on the website, including providing the quarterly accounts in physical form in case they are needed by a member without any fee paid for the documents. Is the Section 86(3) requirement of the Companies Ordinance 1984 annulled where shareholders should have a Circular circulated to them including the registrar concerned at the time when shares are being offered to the shareholders still a requirement in the new Companies Ordinance 2016? The Section 86(3) referred circular of the 1984 Companies Ordinance that has been repealed is now referred to as the “Letter of Offer” in the Companies Ordinance, 2016 Section 83. Letter of Offer is applicable in accordance with the Companies Ordinance, 2016 Section 509. Does the term “foreign company” as indicated in Section 452 (1) of the 2016 Companies Ordinance also include companies not incorporated within Pakistan yet without a liaison office or business in Pakistan? Any foreign company beneficial ownership incorporated outside or within Pakistan must be disclosed as per Companies Ordinance, 2016’s Section 452. Are substantial shareholders of registered local company in Pakistan required to report their shareholding in a foreign company in accordance with Section 452 requirement of the Companies Ordinance 2016? As per Section 452’s provision of the 2016 Companies Ordinance, the Ordinance applies on the substantial officer or shareholders whether they are Pakistani or foreigners of incorporated company as per the Ordinance as far they hold 10 percent of the shares or more in a body corporate or foreign company. Are Institutions/Regulators required under Section 452 to file information under the Companies Ordinance 2016? Institutions/regulators under section 452 aren’t required to make any information filing. Is the officer or shareholder with 10 percent or fewer shares or no shares required to make information disclosure in a foreign company’s beneficial ownership? Every substantial shareholder is required to disclose beneficial ownership that holds 10 percent or more shares within a Pakistan incorporated company all the officers of that company. Section 2(1) (7) defines the substantial shareholders of the 2016 Companies Ordinance, while at the same time the officer refers to the Company Secretary, Chief Financial Officer or the director according to the definition of other company authorized officers according to the 2016 Companies Ordinance Section 2(1) (45). A clarification is also made to the effect that the director is also the Chief Executive Officer meaning that the provision also applies to the Chief Executive Officer. Various comments and suggestions were also received from stakeholders and practitioners during the entire process through emails and letters and it were also considered and wherever possible it was incorporated. This is found in Sections 10, 11 and 12 including reservation of a name for 60 days. Identical, inappropriate, undesirable, deceptive or design to exploit or offend the religious susceptibilities of people is prohibited such as the use of word “modaraba” and any other words which is permissible for any other special business require license from SECP like NBFC’s. Stock brokerage shall not be allowed by the registrar without prior approval of the Commission. The companies having or using such names shall be compelled to change the names suitably as seen in section 10(2). Cancellation of name will be done if obtained on the basis of misstatement or concealment of fact. Failure of the company to change the name within prescribed time despite directions will allow the Registrar to take appropriate actions and register the name with appropriate corrections in accordance with the requirements of the section according to section 11(2). Simple one page memorandum and a revolutionary change, which is an idea from UK with slight change. All lawful businesses allowed except the prohibited/restricted businesses. Only principal line of business to be mentioned with “Principal line of business” meaning the business in which substantial assets are held or substantial revenue is earned by a company, whichever is higher as per Section 26(1). The name should commensurate with the principal line of business and includes 2 broad categories–normal company and specialized company. Appointment of first directors and chief executive at the time of incorporation clearly depicted in Sections 157 (1) & 186(2). NTN of CEO/Directors is mandatory in accordance with sections 153(h). Correspondence address has to be provided incase the company is not providing the registered office address. Payment of subscription amount has to be done within 30 days to the company as indicated in section 17(2). In section 17(3) the Act also states that certification of receipt of money will be done by a practicing CA or ICMA within 45 days. The existing companies shall report the Principal line of business through a simple form–no amendment in the memorandum as can be found in Section 27(A) (iii). No certificate to be issued – acceptance of documents by the registrar shall be conclusive evidence for a company to start a business. Since all the lawful (except restricted) objects shall be deemed to be part of object clause, no need to alter the memorandum. Alteration would be required only on conversion of a normal company into a specialized company. The requirement of filing certified copy of the order by the company has been abolished. Amended copy should be annexed with the special resolution. Small and Medium Companies (SMCs) have been exempted from the requirement of appointing company secretary. All public companies will be required to avail services of a permanent company secretary having such qualification and experience as may be specified by the Commission. Companies not having computer/IT infrastructure may be able to avail services of Intermediary for filling of documents etc. e-intermediaries shall be licensed by the Commission. New companies since incorporation should convert shares from the date notified by the Commission while existing companies should do so in 4 years and can be extended by 2 years by the Commission. It is mandatorily required that the seller should offer shares to the existing members in the case of a private company. Failure to transfer within 15 days shall be deemed as refusal and right of appeal shall accrue. The role of nominee has been clarified, where he will be the trustee and responsible to transfer the shares to the legal heirs under the Islamic law of inheritance and in case of a non-Muslim members, as per their respective law as per Section 79. Provision has been added with clarity that premium can be utilized for issue shares as per Section 81. No company shall be allowed to invite and accept any deposit “deposit” means any deposit of money with, and includes any amount borrowed by, a company, but shall not include a loan raised by issue of debentures or a loan obtained from a banking company or financial institution. Time frame for registration of charge has been increased from 21 to 30 days. Pledge has also been made registerable. The procedure for satisfaction of charge has been simplified. If the mortgagee confirms repayment of loan and issues NOC to that effect, condonation of delay through a petition shall not be required. No statutory meeting would be required if the first AGM is held before the due date of statutory meeting. Section 132 requires that the First AGM be done within 16 months, subsequent within 4 months. At the same time extension of 30 days is allowable even in the case of first AGM. Arrangement of Video-link facility by listed company mandatory where 10% shareholders resides in a city but done on request with the notice of meeting indicating that the members have demanded such facility. First Directors must be appointed at the time of incorporation with the appointment of additional director to be done in mid-term before first AGM through general meeting in accordance with section 157 (2). After the election in the case of unlisted company the person acquiring, after the last election, sufficient shares to get him elected may require a fresh election Section 162. Rectification of list of directors should be done on the pattern of Section 152. The selection of independent directors is as per Section 166 from the data bank maintained by any institute, body or association as may be notified by the Commission. The Protection to independent and non-executive directors (listed company) is seen in Section 181 with immunity provided to such directors unless active involvement or negligence is proved. The Commission is empowered to disqualify a delinquent director from holding such position in the case of public interest companies for a period of five years. Cap on directorships in listed companies is availed in Section 155 with maximum seven listed companies with the compliance expected in 1 year. The exemption is when the directorship is in listed subsidiary. The maximum time frame for filling the casual vacancy in case of listed company is 90 days as per Section 155(3). No quorum requirement if there are not enough directors to form a quorum for filling the casual vacancy. At the same time passing of board resolution by circulation is allowed. According to the section the First Chief Executive must be appointed at the time of incorporation. Government shall have the power to nominate its chief executive where majority of the directors are nominated by Government. The person appointed against the casual vacancy shall hold office till the next election. The Chairman is to be appointed within 14 days from the date of election, from amongst non-executive directors. At the same time the chairman and CEO shall not be the same person and the board required to define respective role and responsibilities of chairman and CEO. Chairman will be the leader and ensure that the board plays an effective role. Every financial statement shall contain a review report by the chairman on overall performance of the company and effectiveness of the board. Except for listed companies, no approval of Commission for loan to directors and the directors of its holding company are allowed. “Guarantees” have also been included to the description of “loan to associated companies”. The section also indicates the agreement mandatory specifying the nature, purpose, period of the loan, rate of return, fees or commission, repayment schedule for principal and return, penalty clause in case of default or late repayments and security for the loan (if any). The Parameters for return on investment have been stated and shall not be less than the borrowing cost or the rate as may be specified by the Commission. Directors to certify that investment made after due diligence and financial health of the borrowing company for the repayment of loan. Provision for amendment to the investment or nature thereof has also been stated. New provision has been introduced whereby the term “related party” has been elaborately described and a mechanism provided to have a check and balance on related party transactions undertaken by the companies. Exemption to the small companies is made in this Section with a capital of up to 3 million. A listed company will also provide additional information in the directors’ report having impact on the future performance and on environment including action taken for CSR etc. The time frame for appointment of first auditor has been increased to 3 months. No audit requirement for a private company has capital up to Rs. 1.0 M. Qualification – CA/ICMA for private company having capital between Rs. 1.0 M to 3.0 M.
Cost audit to be conducted on the recommendation of relevant regulatory authority. In Section 237 the provision for extension up to 30 days in filing of first quarterly accounts of listed company has been added with the time period of 2 months given for the preparation of quarterly accounts of second quarter. Quarterly Financial Statements of listed companies only to be posted on the website and filed to SECP electronically. A copy of these statements in paper form shall be dispatched if so requested by any member without fee. Investigation in cases which are of serious nature and has impact on the public at large will have the joint investigation team be headed by SECP with members including FIA, NAB etc. and should be ordered by the Commission in particular circumstances. A uniform threshold of 10% of the voting rights for filing of applications or taking legal actions against the company by the shareholders is indicated. Exemptions include a private company having paid-up capital not exceeding Rs. 1.0 M or SMC. It’s not required unless there is a change in membership or directorship. Capital up to 1.0 M of un-audited accounts to be filed as per Section 234. For capital exceeding 1.0 M but not exceeding 10.0 M there’s no need of filing it as per Section 233. The filing time for listed companies is 30 days after AGM and for others 15 days after AGM and can only be done electronically. Specie dividend is only in the shape of shares of listed company according to Section 241. There’s an enabling provision to withhold the dividend in case of incomplete documentation in Section 243 (3). In case of a listed company, dividend payable in cash shall only be paid through electronic mode directly into the bank account shareholders as per Section 242 (2nd proviso]. Unclaimed dividend to vest with Federal Government according to Section 244] including a provision of a complete mechanism for the dividend unclaimed for three years and for deposit of the same to the credit of the Federal government. There’s an establishment of Investor Education and Awareness Fund in Section 245 with an enabling provision added to create a Fund which shall provide for investor education and protection measures. No approval even of the Commission would be required in such cases. Indulging in referral marketing, multi-level marketing (MLM), Pyramid and Ponzi Schemes, locally or internationally, directly or indirectly; or any other ground notified by the Commission. Option to resolve disputes through mediation has been provided here. The Commission has been empowered to maintain a panel of experts to be called the “mediation and conciliation panel”. Disputing parties may, before or after entering into a formal dispute resolution process, pending before the Commission or the Appellate Bench may approach the Mediation and Conciliation Panel. Enabling provision added to frame the Code for corporate governance. As a result of this provision, the late fee paid shall be full and final liability with respect to delay in filing up to 2 years and no adjudication proceeding shall be initiated. “Shariah compliant company” means a company which is conducting its business according to the principles of Shariah. Enabling provision added for certification by the Commission with the power to prescribe complete mechanism. According to Section 424 inactive company refer to a company formed for a future project or to hold an asset or intellectual property; or has no significant accounting transaction, or which is not in operation during the last two years may apply for obtaining the status of a inactive company. Enabling provision added to provide a soft regime for the easy exit of a company which has ceased to operate and having no assets and liabilities. An enabling provision has been added to facilitate the agriculture sector. It should be formed by the farmers. (ii). Collateral Management company formed o engage in the activity of managing produce as collateral, including warehousing and facilitation of commodity financing. Detailed parameters for such companies shall be provided through regulations. Exemptions from the applicability of different provisions of the Act will be notified. This Section is in the background of recent developments concerning offshore investments across the globe. The officers and substantial shareholders (10% shares) of a local company having not less than 10% shares in a foreign company or body corporate shall report to the local company about his investment abroad. 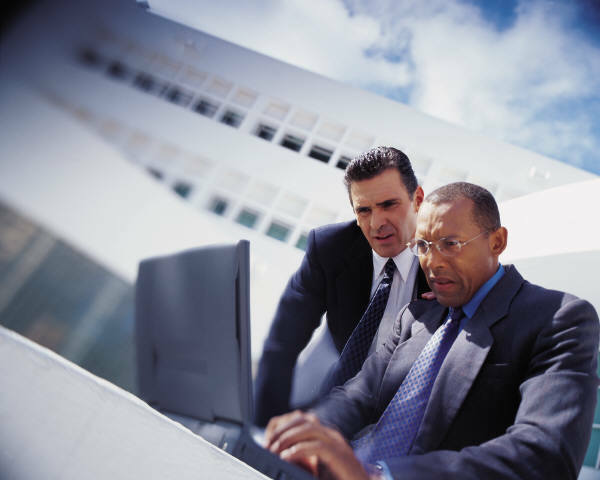 The company shall file the said information to the Commission through special/annual return. All such information shall be recorded by the Commission in a register to be known as the “Companies’ Global Register of Beneficial Ownership”. It shall only be formed as a private limited company, whose name shall signify FZC at the end of its name. Section 456 also refers to the regulation of matters relating to advances and deposit collected by such companies. Also includes restriction on accepting any advances or monies in any form whatsoever, against any booking to sell or offer to sell unless the company has obtained necessary permission/approval/ NOC from the concerned authority (CDA/LDA etc.). A written agreement with the customer is mandatory before accepting any money against sale/purchase of any apartment, plot or building as an advance payment. There’s also a restriction on advertisement for any real estate project without the approval of the Commission and NOC of the concerned authority. All the monies received from the allottees’ shall be deposited in a separate ESCROW account to be opened in the name of the project/ The ESCROW account shall be dedicated exclusively for carrying out the project and no encumbrance shall be imposed on the payment of such ESCROW account for the benefit of creditors of the company. a). All Offences provided in the Ordinance are to be taken cognizance by the court on the complaint filed by the Commission only with the exception of 8th schedule or otherwise provided in the Ordinance. b). 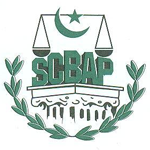 Offences in the 8th schedule shall continue to be filed as a private complaint and in addition to the Commission or registrar, 5 % of issued capital share holders or creditors having equivalent interest may also file complaint and process of investigation as provided in section 38 of the SECP Act, 1997 may not be required. No Court shall have jurisdiction save as is or may be conferred on it by the Constitution or by or under any law (Article 175 (2) of the Constitution of Islamic Republic of Pakistan). The Court having jurisdiction under the Companies Ordinance, 2016 (the “Companies Ordinance”) shall be the High Court having jurisdiction at place in which the registered office of the company is situated. Non-obstante clause has been introduced in the Companies Ordinance whereby civil courts or any other courts shall not have jurisdiction to entertain any suit in respect of any matter in which the Company Bench has jurisdiction. This provision will clarify the ambiguity of forum. 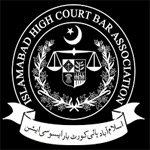 The benches of the High Court are envisaged to be functioning on permanent basis subject to the exercise of authority by the Chief Justice of the respective High Court. Registrar of the Company Bench assisted by such other officers shall perform all ministerial and administrative business of the Company Bench including receipt of petitions, applications, written replies, issuance of notices, etc. A separate secretariat for this purpose may also be set up by the Chief Justice if deemed appropriate. For Prevention of offences relating to fraud, money laundering and terrorist financing it is mandatory for every officer of a company to take reasonable measures failure of which shall be liable to punishment of imprisonment for a term which may extend to three years and with fine which may extend to one hundred million rupees. (d) employ any scheme, artifice or practice in the course of business of the company to defraud or deceive general public; shall be punishable with imprisonment which shall not be less than one year but which may extend to seven years and shall also be liable to fine which shall not be less than the amount involved in the fraud but may extend to three times the amount involved in the offence: Provided further that in case of offence involves public interest, the term of imprisonment under this section shall not be less than three years along with fine. All offences under this section shall be non-bailable and non-compoundable.